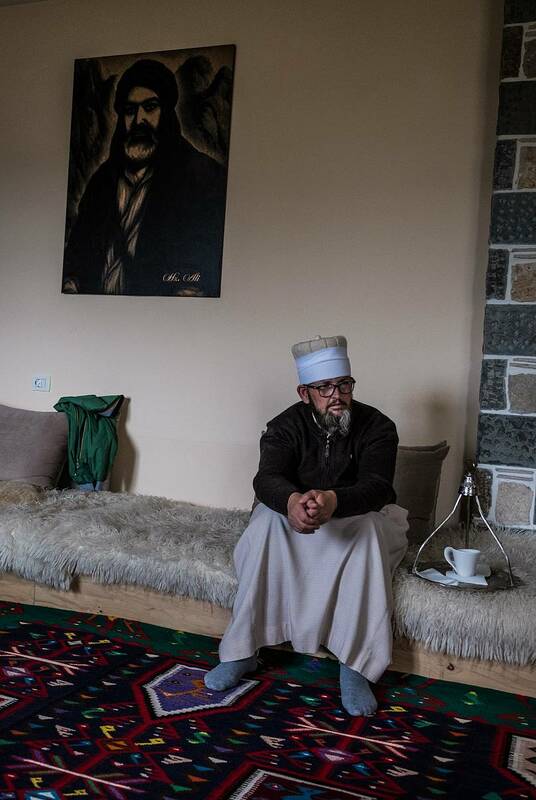 The dervish meets us and announces that we’ll have to wait: “His Holiness has received unexpected visits today and those who come to the tekke are always welcomed.” In the meantime, he offers us three cups of Turkish coffee and three glasses of raki, the local spirit. Black and white pictures of a dozen bearded men stare at us from the walls. We are in Tirana, Albania, at the Bektashi Order Headquarters (Kryegjyshata, the Court of the Supreme Grandfather). The Bektashi creed permits the drinking of alcohol — as the dervish explains, “It reveals a man’s true character” — and does not demand men and women to be segregated, nor that women wear a veil. 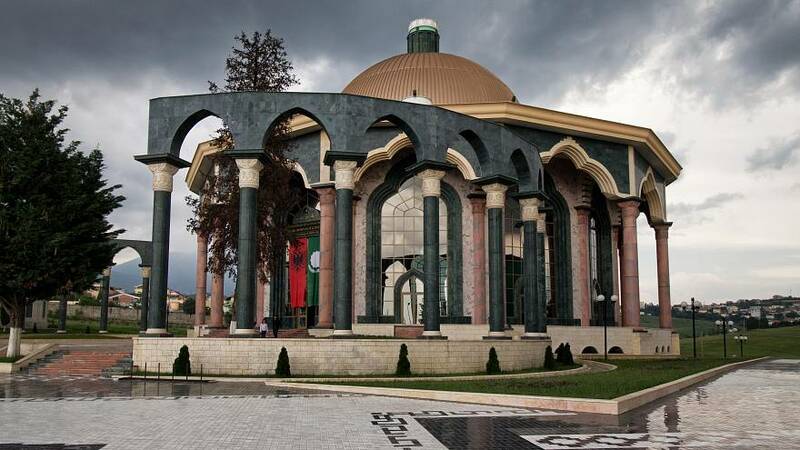 Furthermore, Bektashi's tekkes differ from traditional mosques in that they do not have a minaret built next to them and babas are buried inside. A constantly evolving faith, Bektashism has always valued encounter and exchange with the proximate religious communities. However, tolerance is no protection from persecution and for hundreds of years, the faithful have found themselves under pressure — whether their overlords were Christian, Muslim or atheist. Baba Mondi, the Dedebaba, is the spiritual leader of the order. Last year the non-government organisation We care for Humanity recognised him as a World Peace Icon and he has had audiences with two Popes. How does this teaching fit into a world scarred by religious violence? The spiritual leader explains that the Bektashi faith leaves the responsibility for any deed to the individual, does not point to a creed or a sacred text for personal actions, and therefore those who carry out terror attacks in the name of God are not seen as true Bektashi believers. “We well know what the three main enemies of humanity are first of all ignorance, then poverty, which often derives from the political situation, and finally personal ego, egoism. These three factors can be fought and destroyed only if people collaborate with each other,” Baba Mondi explains. Once the interview is over, the Dedebaba urges his fellow to take a picture of him surrounded by us. He then gives a fruit, pears or apples, to each one of us and disappears behind the door. The dervish leads us to the parking. "Do you eat pork?”, we ask him. "I tried once, but I didn't like. It's not a matter of religious dogmas, we Bektashis are always let free to choose. I just didn't enjoy the taste so much." 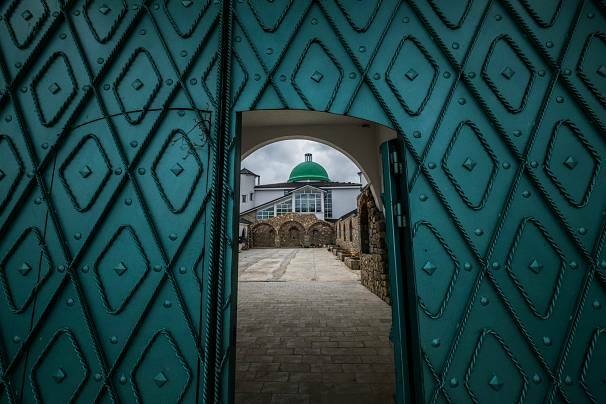 A hundred and sixty kilometres to the southeast, near the city of Korce, lies the Melçan tekke, or religious centre, from which another Baba, Baba Sadik, watches over his community. His hilltop base offers wide views of the surrounding plains, and a dervish offers a perspective on how the faithful see their spiritual leaders. 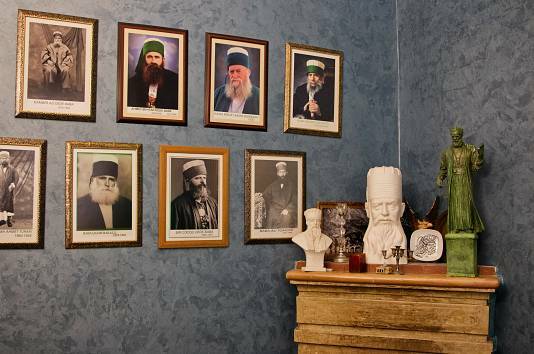 We meet Baba Sadik in a cozy room. His floor is covered by a rough carpet and the worshippers seem very excited about our interview with their spiritual guide. For them, every single word he speaks is illuminating; it may reveal unexplored paths of wisdom and meditation. Baba Sadik smokes while answering our questions, moving his hands in the air hypnotically. He walks us through the Bektashis' history, as the others nod gravely at any reference to a wave of persecution. The Bektashi Order found itself in Albania after being banned from Turkey by Atatürk, setting up their headquarters in Tirana with the backing of King Zog I in 1929. But their refuge was short-lived as World War II ushered in the arrival of Enver Hoxha’s communist dictatorship. When Hoxha transformed the country into the world’s first atheist nation, the Bektashi Babas and the dervishes who served them suffered the same fate as priests and imams: imprisonment, torture and hard labour, recalls Baba Sadik, with a quivering voice. The ban on religion in Albania was officially lifted in 1990 and the Bektashis enjoy recognition and support from the government. 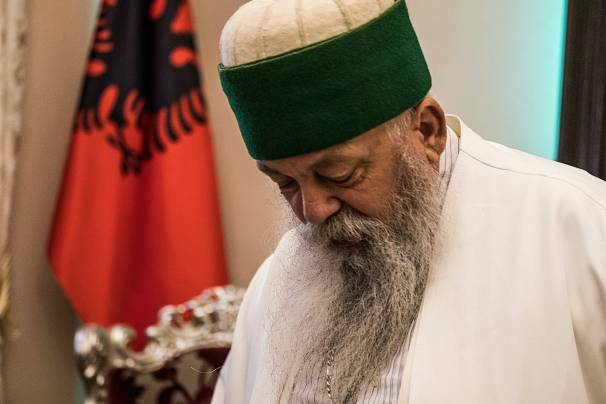 In the neighbouring Former Yugoslav Republic of Macedonia, however, Bektashis still find their religious practices under threat as the influence of Muslim Sunni groups becomes more pronounced. The 16th-century tekke in Tetovo has been turned into a mosque, with a tower converted into a minaret and segregation introduced to worshippers. But this Bektashi community isn’t sitting quietly. They have since turned to the European Court of Human Rights and the United Nations in a bid to fight back.